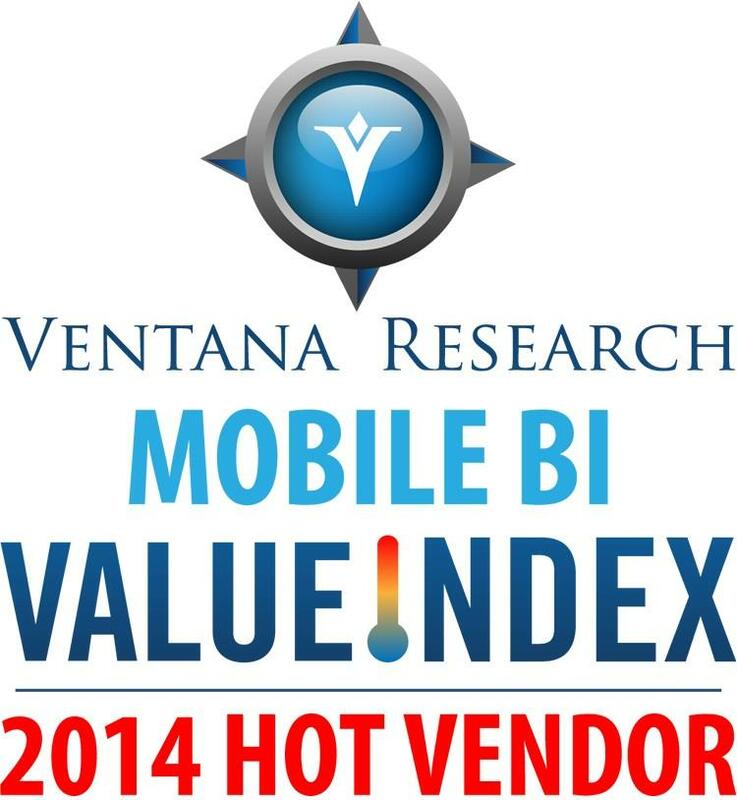 Global Business Intelligence (BI) and analytics software vendor, Yellowfin, has been named a “hot vendor” in Ventana Research’s 2014 Value Index for Mobile BI. The report awarded Yellowfin an overall rating of 90.5%, also lauding the vendor for its innovative integration of collaborative features and functions within its Mobile BI offering. The 2014 Mobile BI Value Index – a fully independent research-based index evaluating technology vendors and products on their ability to deliver reporting and analytics via mobile devices – assessed the Mobile BI maturity and capabilities of 16 BI solutions, available as of November 15 2013. Additional vendors were evaluated, but not included in the final Value Index, as their offerings did not satisfy a sufficient number of criteria to warrant inclusion. The study evaluated vendors and their products across seven categories. Five were product-oriented and assessed usability, manageability, reliability, capability and adaptability. The remaining two categories focused on customer assurance issues – “vendor validation” and Total Cost of Ownership (TCO) / Return on Investment (ROI). Products were ranked – via a graphic representation of a thermometer in a precise numerical index – on their ability to deliver value to prospective Mobile BI clients. Products were placed on a scale from “minimally valuable” – represented by the color blue (“Frigid”), to “very valuable” – denoted by the color red (“Hot”). Rabie also noted that recent updates to Yellowfin’s Mobile BI capabilities during the launch of Yellowfin 7 in November 2013 – including the ability to create BI content and conduct ad-hoc analysis from any mobile device – would cement Yellowfin’s position as a leader in Mobile BI. Yellowfin offers customers the ability to receive mobile analytics out-of-the-box, on any device or platform at no additional cost, via native applications for the iPhone, iPad, hybrid HTML 5 application for Android devices or Web-browser. Yellowfin is a global Business Intelligence (BI) and analytics software vendor passionate about making BI easy. Yellowfin is headquartered and developed in Melbourne, Australia, offering a highly intuitive 100 percent Web-based reporting and analytics solution. Ventana Research provides the most comprehensive analyst and research coverage in the industry; business and IT professionals worldwide are members of our community and benefit from Ventana Research’s insights, as do highly regarded media and association partners around the globe. Our views and analyses are distributed daily through blogs and social media channels including Twitter, Facebook, LinkedIn and Google+. To learn how Ventana Research advances the maturity of organizations’ use of information and technology through benchmark research, education and advisory services, visit www.ventanaresearch.com.